The Tudor monarchy, after gaining the throne in 1485 at Bosworth, consolidated their new regime by placing men who owed allegiance to them in positions of power. The north of England was critically important as the first point of defence against the Scots. The defence of the borders had been dominated by the Percy Earls of Northumberland and the Neville Earls of Westmoreland who could raise large armies at short notice, but the feud between them had been a contributory factor to the Wars of the Roses, the Nevilles supported the Yorkist cause whilst the Percys fought with the Lancastrians. The new Tudor regime sought to prevent further wars by decreasing their power. New men, loyal to the Tudor king were raised to high office. The Clifford family of Skipton were raised to the Earldom of Cumberland and given power over much of the border frontier with Scotland. This brought about conflict with the Markenfields and Nortons over land rights and authority in Rhylstone in Craven and the manor of Kirkby Malzeard in the 1530s, and these arguments continued into the 1560s. 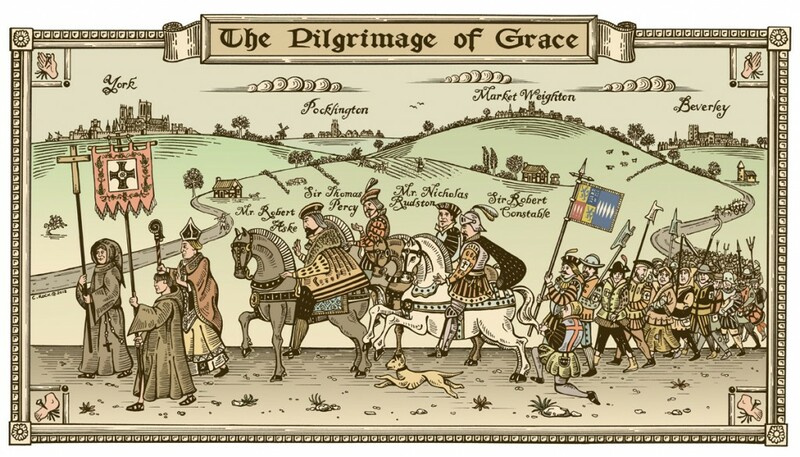 The Percy estates had been forfeit to the Crown in 1537 as a consequence of their part in the Pilgrimage of Grace in 1536 and had been taken over by the Forster family. With the accession of Mary Tudor the Percys and Nevilles regained most of their previous power so creating tensions between those who had lost and those who had gained power in the North, in particular between the Forsters and the Percys and between the Nevilles and the Bowes family who had gained considerable power in the Borders. On Elizabeth’s accession in 1558 the political and religious situation changed again. Elizabeth was eager to make peace with the Protestant Scots and was concerned about the loyalty of the Catholic Earls. She therefore forced Neville and Percy to give up their positions of power in the North and replaced them with Sir John Forster and Sir George Bowes. These actions by Elizabeth had the effect of decreasing the political status of the two earls and causing them a considerable loss of income. This could be seen as a major reason why they felt that they had no option but to rebel in 1569 but both earls were reluctant rebels and Thomas Markenfield and Richard Norton were perhaps more relevant in explaining the move to rebel.